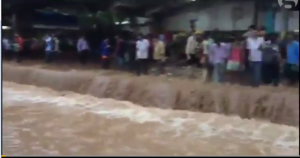 Heavy monsoon flooding in India and Nepal have killed 1,200 and shut 1.8 million children out of school. (The Guardian, 8/30/17)There are some additional heroes to acknowledge following the shocking flood in the greater Houston area from Hurricane Harvey. They highlight what is great about America. Americans don’t just accept it when bad things happen. We learn from it and become better. They are an example of what is wonderful about America. Americans don’t just accept it when bad things happen. We learn from it and become better. While the U.S. death toll from Harvey is 82 and Irma is 69 as of September 15, 2017– around the same time approximately 1,200 people died in monsoon floods in Southeast Asia. Over 200,000 people died from the 2010 earthquake in Haiti right off shore from the U.S. The deadliest natural disaster in American history remains the Galveston, Texas, Hurricane of 1900. The estimated death toll was more than 6,000 lives. Over the next 12 years, Galveston rebuilt stronger and safer. The effort paid off. 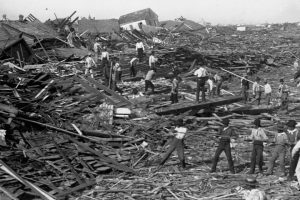 A 1915 Galveston hurricane resulted in only eight deaths. American’s take lessons learned from past disasters such as the 1900 Galveston Hurricane to make us much safer today. (source: “How Texas Rebuilt after the Deadliest Hurricane in History,” Time, 8/29/17)1900. Of course no deaths are acceptable. Our hearts go out to the souls lost to Harvey and Irma, and their families. And to the millions more who are facing disrupted lives and costly repairs. The ultimate goal is to keep everyone safe and have little/no damage. America is working on that. FEMA’s Building Science program researches how buildings perform during a disaster and then turns this research into practice to save lives and protect property. 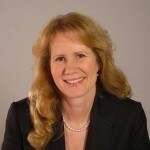 Building Science proposes building code updates to the International Code Council. They also develop technical guidance for hurricanes, floods wildfires, earthquakes and more. 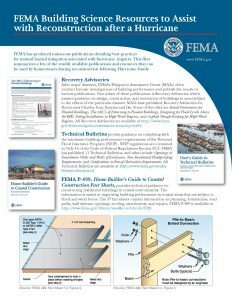 The citizens of the greater Houston area would do well to rebuild using FEMA Building Science’s advice. A study by the National Institute of Building Science found that for every $1 spent on disaster mitigation, $4 are saved in losses avoided. 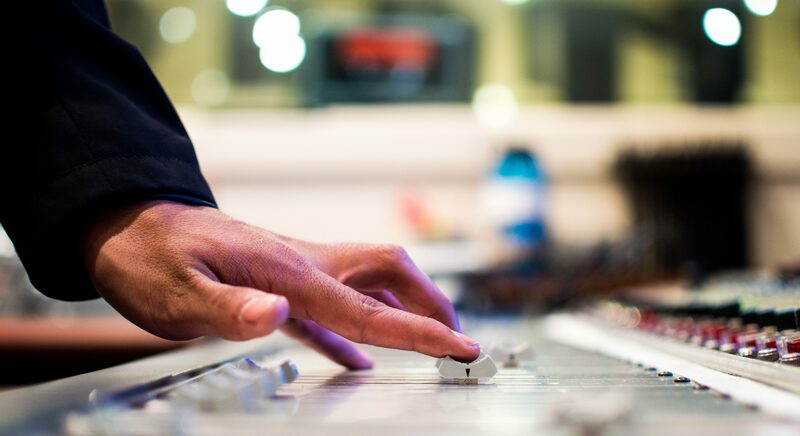 4:1 is a pretty good return on investment in any business. FEMA offers engineering advice to property owners rebuilding after Hurricane Harvey. The ROI from investing in mitigation is 4:1 – plus peace of mind. By using FEMA rebuilding guidance, citizens gain the peace of mind that comes with having done everything possible to prevent a similar tragedy in the future. Protecting your family and your property—including priceless heirlooms and mementos that cannot be replaced – makes the ROI even greater. FEMA’s flood insurance policies offer up to $30,000 extra to rebuild to a higher code standard. FEMA provides grants to states for preparedness and mitigation to implement improvements based on lessons learned. In fact, Congress requires a percentage of disaster relief dollars to be spent to mitigate against future disasters. -The National Institute of Science and Technology is leading efforts to understand and address the complexities of community resilience. -The U.S. Army Corps of Engineers implements and manages flood control structures such as major dams and levees. -The National Oceanic and Atmospheric Administration provides sophisticated weather forecasts and coastal resilience grants to communities. -The U.S. Geological Society provides stream gauges and earthquake shake maps that engineers and planners use for disaster resilience. State/local government agencies, tribes, non-profits, academia and private-sector engineering firms partner with FEMA and these agencies to make America as safe as possible. There are thousands of engineers and scientists quietly working to keep America safe. They succeed when people don’t die and properties are not destroyed. This makes them heroes that are rarely – if ever – featured on the nightly news. Please join me in thanking these engineers and scientists. They are no doubt already on the job taking the lessons learned from Harvey to make us even safer in the future. NOTE: Outreach Process Partners, LLC (OPP) is offering matching funds for donations up to $10,000 to the Red Cross, Habitat for Humanity or other reputable non-profit working to restore the devastation from the 2017 hurricanes.